"It is the Khazars behind Judaism, Christianity, and Islam that are the problem, not the common folk." Text in quotes by Sananda, text in brackets by Candace Frieze. Published in this website on March 13, 2005. “These Khazars created communism in Russia and caused the great loss in human life in Russia during WWII. This Russian loss greatly superseded the Jewish Holocaust in lives lost. What happened in the Jewish Holocaust was not that God was angry with the Jews for not accepting me, but that these usurpers of the Jewish faith wanted both the Gentiles and the Semites removed from Earth. “The Arabs are quite God’s people. God’s people are all who either evolved on this earth or were placed here as the result of the loss of their planets or other reasons of placement. These Khazars use the lower blood lines. Those of you reincarnating in the Higher Light use the Adamite DNA bodies. The Khazars have to use the non Adamite bodies. 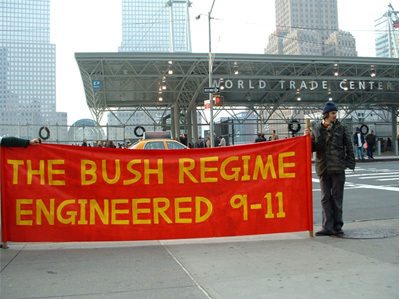 “911 was caused by the Khazars (Zionists), many within your government, to cause you to hate Islam, to go after the oil they need, but you don’t need, as we have other means of energy to give you. Islam hates the Khazars and for good reason. It was the Khazars who were behind the Catholic Churches attempt to stop Islam, known as the Crusades. “Understand that Khazars took over Islam and made Islam’s problems that exist today. Even the people around Mohammed took charge of him. When Mohammed believed he had been taken up into Heaven, he was in fact picked up by a shuttle craft, and taken aboard a Khazar ship and his mission, in effect, ended at that time. “This is what is behind the warring in Islam. Mohammed intended Islam, which was his journey, to be in peaceful knowledge of God, not militant in the way it has been used. The Khazars interrupted Mohammed’s mission, just as they did mine. They have messed a bit with Buddhism also, but not to the degree that has been done to manipulate the big 3 for Israel. “There is no correct major religion on the face of the earth. All are contaminated and used to bring on Armageddon in a most negative way. “The purpose of the Holocausts, both the Jewish and Russian ones, was in great part to remove the Adamite bloodline from Earth. That was what Hitler was LED to do. He did NOT intend this. His thing against the Jews was against the Khazars but these very same Khazars got to him too and his mission was also corrupted. “He had the mission of taking Germany and the areas around it out of Khazar control, and not through genocide, but ‘Satan’, as you like to call it, took over in his body, by a process called ‘overshadowing’, and manipulated him to get rid of the Semitic and Adamite blood line. “There are, in fact, some space ships out there in space that are full of the Nephilim, the ‘fallen angels.’ They will, in all likelihood, never be readmitted to the heavenly realms. There are some 36 million of them. They are tired of living in space and also want the planet. They can’t incarnate into an Adamite body, so they were also behind these great world wars. “Much has gone on behind the scenes, of which you are unaware, by the intention of people like Pat Robertson. He is a ‘fallen angel’ and using Christianity for his purposes. You must not hate the Jewish people in general, as most are just like you. “It is the Khazars behind Judaism, Christianity, and Islam that are the problem, not the common folk. The common folk are intentionally led to believe their religion is the only right one, no matter which one it is. The Khazars desire to keep the world in warfare for their own nefarious needs. “I will mention here, that the Khazars created the Bubonic Plague of Europe hundreds of years ago. They created AIDS, and gave it to Africa through the smallpox vaccine in the early 1970’s. They created the Spanish flu of the First World War era. They are messing with the bird flu viruses now. They were behind SARS which we helped eliminate. They are using disease to control population, and they work especially at developing viruses that affect the Adamite DNA. “They were the ones long ago in the Tower of Babel story that separated the DNA strands of humans, so they could not communicate with the higher realms, and ended telepathy, so they could not communicate with each other, thus taking away the power, so they could own the planet. “Conditions on this earth are so bad that the people are looking to a sky god to help them. They do not understand this perception of God that comes within. I guess you could say the sky God has heard, since we are in your skies in great numbers, working to keep the planet alive and healthy, so we don’t have to evacuate you all and take you to other planets. 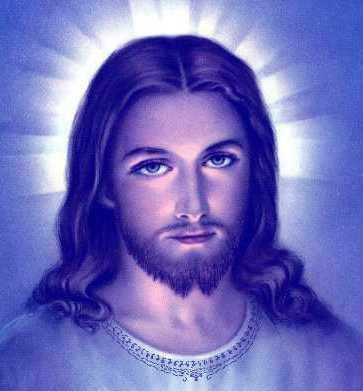 Sananda is an archontic being and must not be trusted. As all archons, he will tell 90% truth to give you a good feeling and 10% lies to keep their cattle enslaved. You are wrong. Why do you say so?